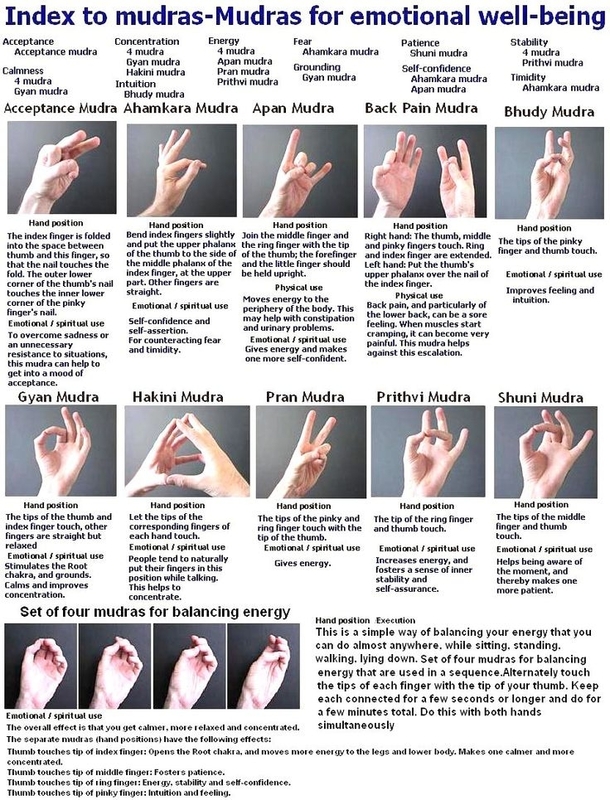 Discussion Anyone here use mudras? These gestures are often used as a practice and I wondered if anyone here used them frequently and not jus within some form of meditation but within daily life. I suppose commonly you see these in Buddhist iconography also associated with Hinduism. Yes, actually. I got to a Kadampa temple and the nun uses certain hand positions or mudras during ceremony and meditation. I can't see the position of her hands, but like The Buddha, it's in the practice; but, I'll look at it. I wanted to know what they meant but I'm not sure if it's "formally" for monastics. For me the most used quality is associative awareness during meditation. However they do seem to have a subtle mind directing quality. So for example, the namaste, prayer hands I often use for supplication during mantra. Also for those who have forgotten or no longer use malas, the four balancing mudras shown by @federica can be used to count or keep focussed on mantra.